On Saturday, August 2, 2014, David Deradoorian, Roberto Martinez and Patrick Martin pronounced first vows as members of the Institute of the Brothers of the Christian Schools—Fratres Scholarum Christianarum (FSC). 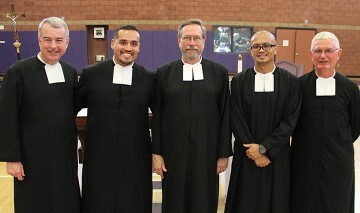 Brother Patrick and Brother Roberto, from the District of San Francisco New Orleans (SFNO), pronounced vows at Cathedral High School in Los Angeles, California, while Brother David, from the District of Eastern North America (DENA), pronounced vows at St. Mary’s Church in Colts Neck, New Jersey, a short distance from Christian Brothers Academy in Lincroft. All three were surrounded by family, friends and Brothers to support, celebrate and welcome them. “We are grateful to God for the gifts of Brothers Roberto, David and Patrick to our community and mission. We consider ourselves blessed by their presence and challenged by their commitment to share their lives as we work and journey together to educate and evangelize the young God has entrusted to us. In a word, let us rejoice!” said General Councilor Brother Tim Coldwell, FSC. 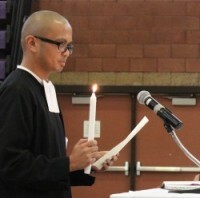 The professed vows come for the three at the conclusion of their novitiate year at Mt. La Salle in Napa, California. The novitiate is a year of formal preparation in the vocation of a Brother focused on prayer, reflection and discernment. “Part of the novitiate is inward, but then a shift happened looking toward professing vows and entering back into ministry. The pre-profession retreat was powerful to reflect on what I am taking from this year into active ministry,” said Brother David. 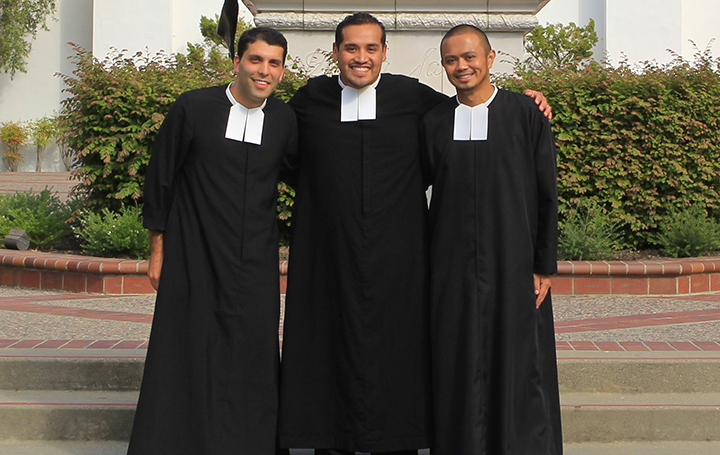 Brothers David, Roberto and Patrick will return to educational ministry in their respective Districts this fall. “I’m excited about returning to work with young people, the daily blessings and challenges of teaching,” said Brother David, who will teach at St. Raymond High School for Boys in Bronx, New York. “I’m ready to go back into ministry and do what I love, going back stronger in faith, in being able to be Brother to others,” said Brother Roberto, who will teach at Sacred Heart Cathedral Preparatory in San Francisco, California. Their profession took place in the context of liturgy, the three professed: In prayer, Brothers dedicate themselves completely to God by promising to live in association with the Brothers in their communal life of service. To this end, they vow association for the service of the poor through education, chastity, poverty, obedience, and stability in the Institute of the Brothers of the Christian Schools.